Many pregnant women are willing to minimize the cellulite during pregnancy with the help of cellulite massage. Cellulite may appear during pregnancy, even if you have always been slim and have not ever suffered from it. The appearance of cellulite is a norm for pregnant women because it is your body’s response to the changes in your hormonal background. The question is whether anti-cellulite massage is allowed during pregnancy and whether it is safe. Most doctors say that anti-cellulite massage is a bad idea for pregnant women. They say, that anti-cellulite massage during pregnancy will have no results because in this case cellulite is mainly caused by hormones. You can do nothing with your hormone level and massage won’t help. After giving birth, the concentration of hormones will come to normal, and then you’ll be able to get rid of the cellulite. The second reason why the doctors are against anti-cellulite massage during pregnancy is in the procedure itself. Anti-cellulite massage procedures can be sometimes aggressive and even painful. They affect not only your skin but also subcutaneous tissues and the entire body. As a result, the procedure may be dangerous for the fetus as it can increase the tone of the uterus. They say that some types of anti-cellulite massage are harmless during pregnancy. They consider honey and LPG-massage safe during pregnancy. Moreover, they even recommend taking care of your buttocks and thighs while pregnancy. Which types of anti-cellulite massage are contraindicated? Let’s talk about the most common allowed type of anti-cellulite massage during pregnancy. Honey cellulite massage during pregnancy. 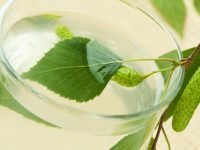 Anti-cellulite massage with honey is one of the most effective in dealing with this problem and one of the most popular among women. Honey is famous for its cleansing and nourishing properties, and its adhesive structure contributes to the effective mechanical stress on the skin. For such a massage heat high quality natural bee honey until it melts. Then apply honey on your palm and firmly press your palm to the problem area (buttocks or thigh). Then sharply tear off the hand from the skin. Repeat for 15−20 minutes. Each time the resistance will increase because the honey will harden and thicken. Therefore, the procedure will require considerable effort. That is why a pregnant woman must not do this massage all by herself at home. Although honey massage is considered one of the safest during pregnancy, most doctors believe that there can be a risk of allergic reaction as honey is known to be one of the most powerful allergens. Can you get rid of pregnancy stretch marks? 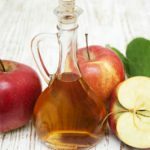 How to use apple cider vinegar against stretch marks?